Maintenance, service and repair for your industrial wastewater treatment: Our customer service team is at your disposal for all questions relating to your plant. Here at EnviroChemie, we have a tradition of setting high standards for the quality and durability of water and wastewater treatment plants. We have our own team of technicians and offer a comprehensive range of services, ensuring that your plants run smoothly and are expertly maintained. We are happy to design a customised service package for you. Please contact us for more information. We only work with highly qualified staffs, who have achieved the required statutory approvals and quality certifications. 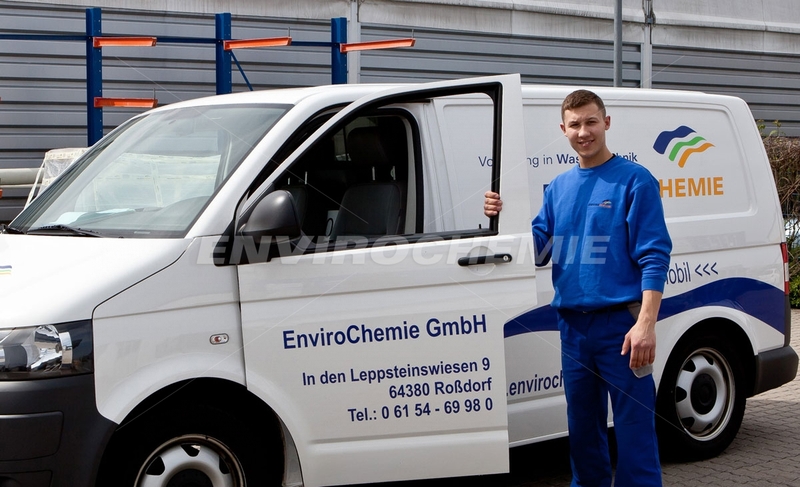 This ensures that EnviroChemie's high quality standards are adhered to at all times.